Why should I train with Christine’s School of Motoring? Thank you for your interest in Christine’s School of Motoring Instructor Training Courses. Christine’s School of Motoring has a long history in teaching people to drive and Instructor Training. We are jealous of our reputation, and pride ourselves in having exceedingly high standards and very successful pass rates. All our courses are geared to suit your needs. You may wish to train over a period of time, allowing yourself to remain working whilst you are training, or you could train more intensively. We cover the areas of Exeter, Torbay, Newton Abbot and Totnes areas. Why should you choose us over other driving schools to train you for your future career? 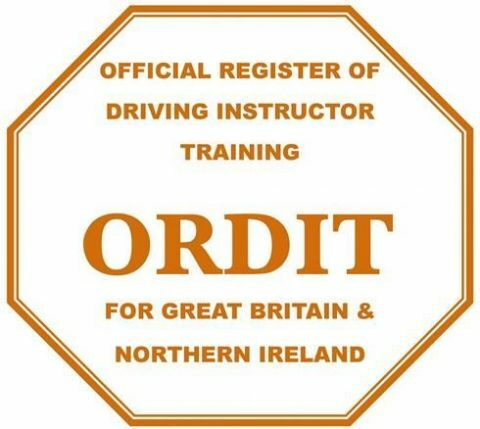 We deliver training packages to suit you and endeavour to help you become a confident Approved Driving Instructor in a relaxed and fun learning environment with our ORDIT Qualified Driving Instructor Trainers! All of our trainers are examined every 2 years by the Driving Standards Agency to make sure the training we are delivering is up to the standard required. There are many driving schools that offer training but are not ORDIT registered. We know because we are constantly contacted by trainee instructors, who have been advised to contact an ORDIT Registered Driving Instructor Training Establishment by the DVSA, as they have been let down by the standard of training they have received, and have wasted a lot of money. For full details please do not hesitate to contact us and we will also arrange to send or email you our Driving Instructor Training Pack which contains information on our Packages we offer. Christine's School of Motoring is a member of The Official Register of Driving Instructor Trainers. (ORDIT) This is the government body (Driving Vehicle Standards Agency) responsible for maintaining training standards within the industry. To become a member of ORDIT, Christine's School of Motoring passed a vigorous training assessment examining the standard of training we provide. This is an ongoing process, giving you further assurance of our commitment to quality training provision.